Craving big spaces and wild landscapes? 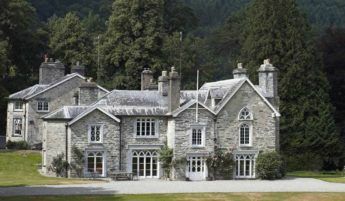 Then come to Wales, and stay in one of our beautiful manor houses. Each house is perfectly suited to a holiday with friends or family, or to celebrate a special event. Our Welsh Collection has some of our loveliest large houses, in gorgeous countryside. The coast is within reach and so are the mountains. Wales offers a tremendous wealth of things to do, and opportunities to try new things. As well as the usual coast-walking or hill-walking Plas Dinam, for example, offers trail-hunting on horse-back. Llanfendigaid recommends trying the Zip World Titan (if you’re mad enough).